Last month an all-female flight crew commanded a Royal Brunei Airlines flight to Saudi Arabia, where women aren’t allowed to drive. Sixteen years into the 21st century and there are still parts of our world where restrictions based on gender are in place. For instance, imagine not being able to drive a car if you’re female. That’s the law in Saudi Arabia, where women are not allowed to drive because of a decree imposed by conservative Muslim clerics. 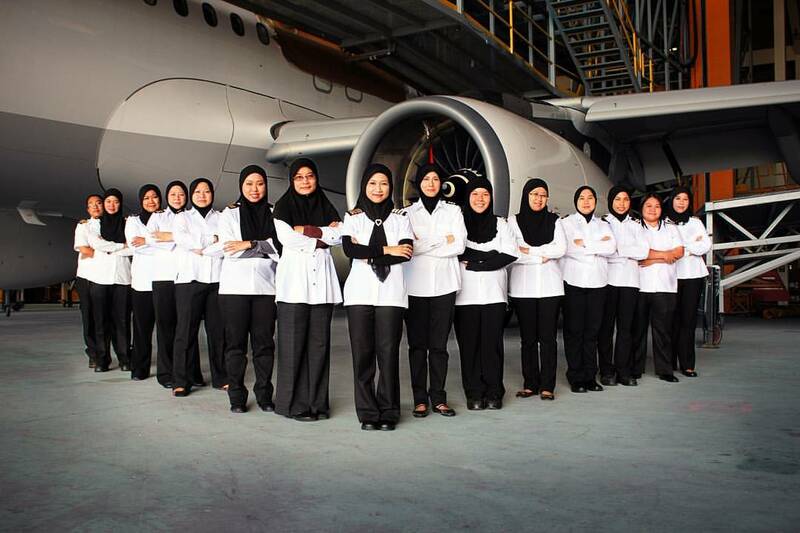 So last month a Royal Brunei Airlines flight landed in Saudi Arabia, the all-female crew was capable of piloting a commercial airliner but their ground transportation was limited to being passengers. On Feb. 23, which is Brunei’s National Day to celebrate its independence, the crew of captain Sharifah Czarena Surainy, senior first officer Dk Nadiah Pg Khashiem and senior first officer Sariana Nordin flew flight BI081 from Brunei to Jeddah. Four years ago, Surainy became the first female to become a captain for a major carrier in Southeast Asia. Why Is There A Propellor on the Boeing 787 Dreamliner?